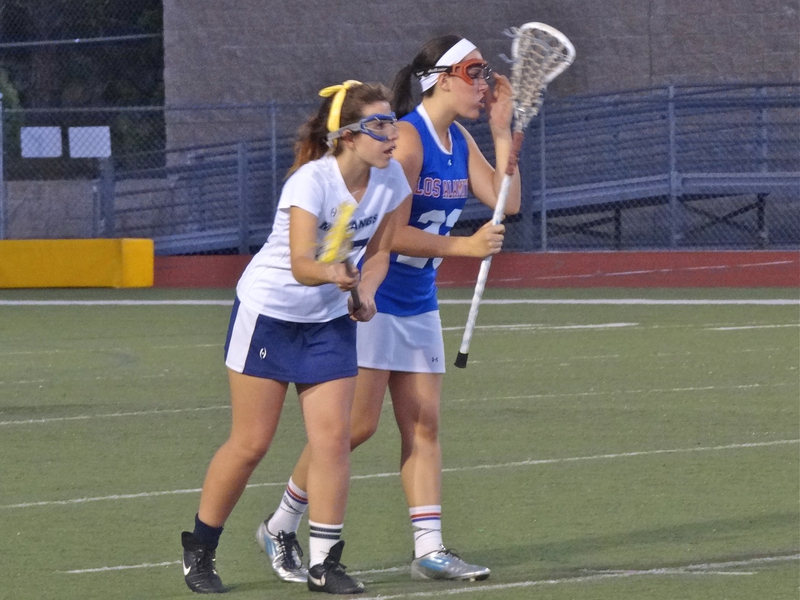 Trabuco Hills Girls Lacrosse JV ran out of gas against Los Alamitos JV at Trabuco Hills Stadium. Los Alamitos scored the games first four goals before Trabuco started to rally. Marina Sandoval had the Mustangs’ first two goals. Becca Haggard’s goal with 58 seconds left in the first half made it 5-3, Los Alamitos. But the visitors responded with a goal just 6 seconds before intermission — and the Mustangs were never closer. After the break, Haggard’s second goal was no match for five from Los Al. Notes: Mustangs beat Los Al’s Frosh/Soph, 5-4, on March 22.